Whatever you're doing - stop! This is news you won't want to miss... Starting Thursday, March 19th and running through Sunday, March 22nd, Reebok is offering 30% off sitewide! Why such generosity, you ask? Because Reebok genuinely appreciates your business and wants to say thank you. That's why the promo code for this spectacular sale is ... wait for it... THANKYOU! The only exceptions to this offer are zPump's and select new Nanocolorways. So if you've been thinking about replacing those tired kicks, or retiring your holey gym shorts - now is the time to do it! 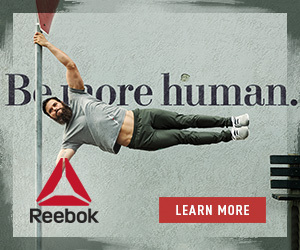 Just use code THANK YOU and you'll get 30% off sitewide at Reebok.com!